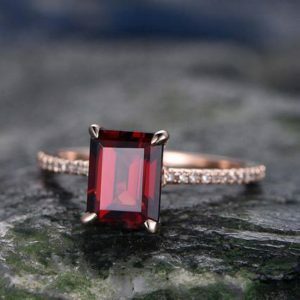 Red is a bold and striking choice for your engagement ring. 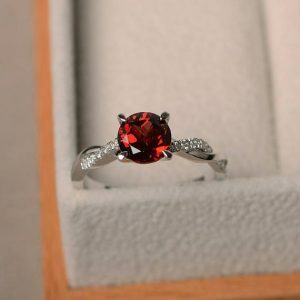 Red represents vitality, courage, and passionate love. 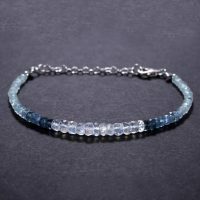 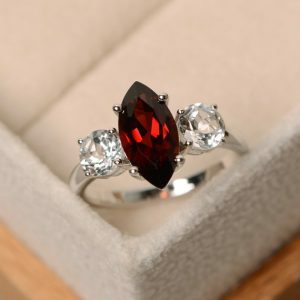 Shop red gemstone rings like garnet, red spinel, ruby, red tourmaline, and alternative stones like carnelian. 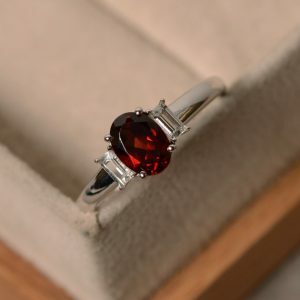 Wrapped Raw Dark Red Garnet Band Ring. 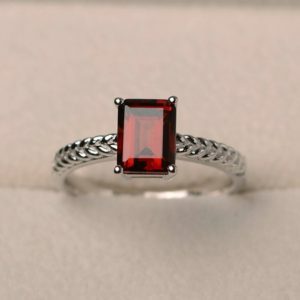 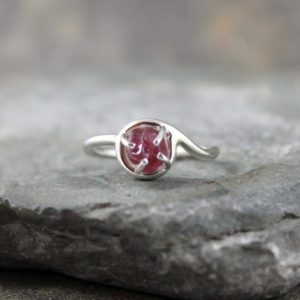 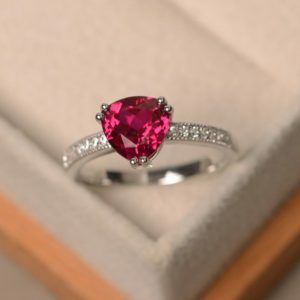 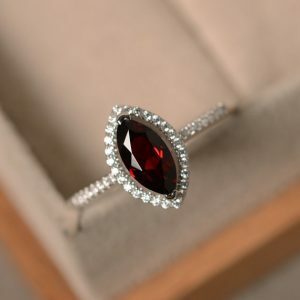 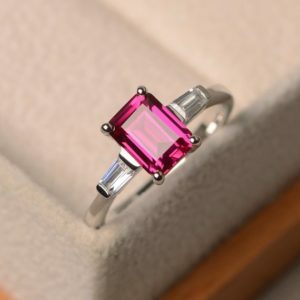 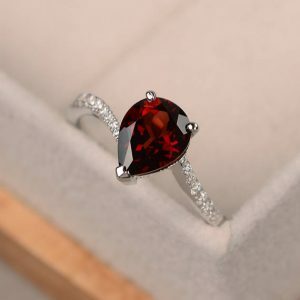 Garnet Ring. 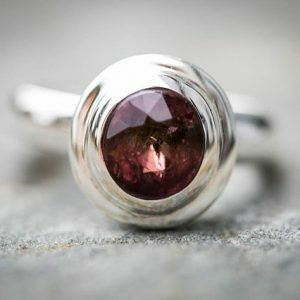 Raw Garnet Ring. 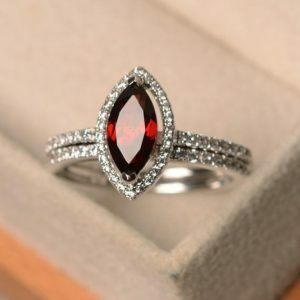 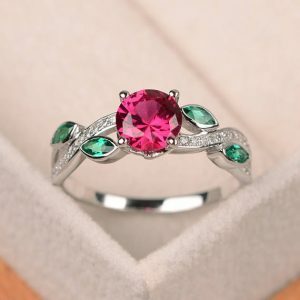 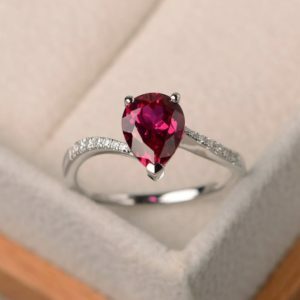 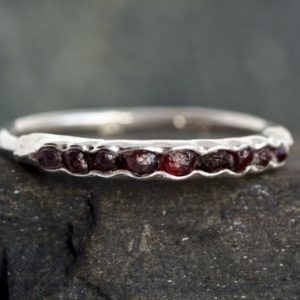 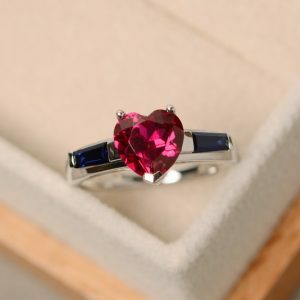 Garnet Wedding Band Ring. 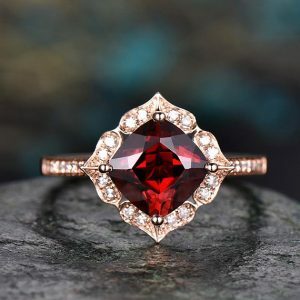 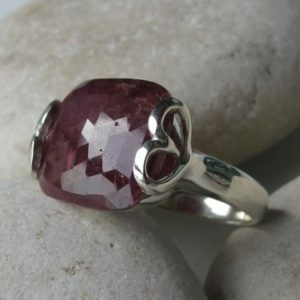 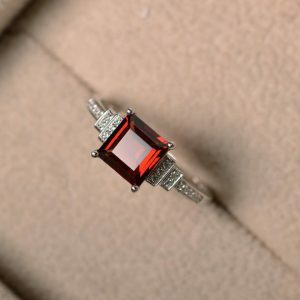 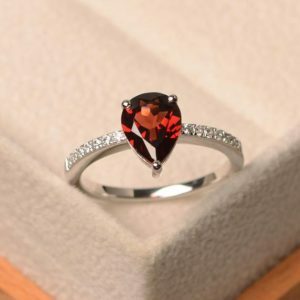 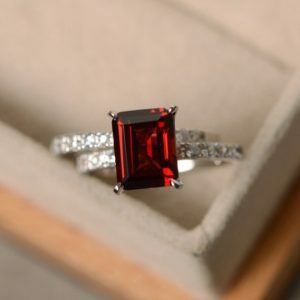 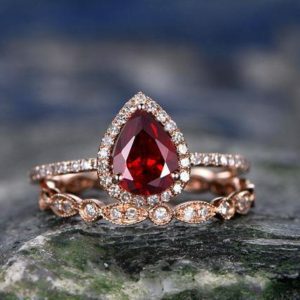 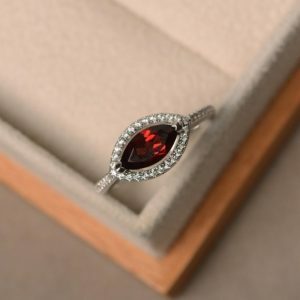 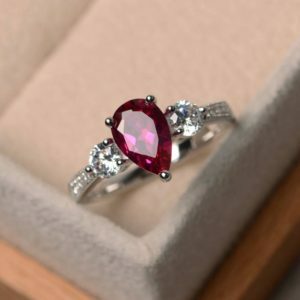 Garnet Engagement Ring.